One of the major complications of diabetes is the appearance of wounds in the lower extremities that do not heal properly. In this situation, a group of researchers from the UNAM created a solution made of silver nanoparticles, which in clinical trials has healed ulcers people with diabetic foot, avoiding the amputation of more than 90 percent of patients treated. “The ulcer is an open wound, susceptible to infection by bacteria and fungi that generate inflammation, which prevents injury to heal; however, in applying the silver nanoparticles an antibacterial effect that contributes to create healthy tissue”, said Dr. Karla Oyuky Juárez Moreno, researcher at the Center for Nanoscience and Nanotechnology (CNyN) located in Ensenada, Baja California. The development called Nagsil Dermo® achieves in three months to heal diabetic foot ulcers. First a doctor should do heals, remove dead tissue and then placing the solution spray. Dr. Juarez Moreno stressed that for an effective treatment must be apply daily and be supervised by specialists. 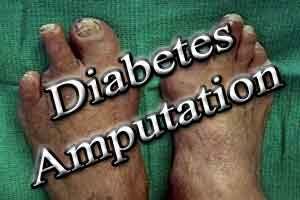 According to data from the Ministry of Health, seven out of ten cases of diabetic foot ulcers result in amputation and the World Health Organization (WHO) reports that due to the lack of control of blood glucose, between 40 and 85 percent of patients lose their limb. The solution applied in patients that had a treatment with antibiotic during more than six months but don’t see improvements, some had the diagnostic of amputation. “With our development report us a cicatrization, the time depends of the ulcer. Exist four types wich reflect vascular damage and tissue. “Who have the levels one, two and three relieved in less of six months, therefore those wich have the level four where the amputation is inevitable, in this cases have us a ten per cent of success”, detailed Dr. Juarez Moreno. CNyN researchers led by Dr. Nina Bogdanchikova work with the International Network of Bionanotechnology the National Council of Science and Technology (CONACYT) and in collaboration with Dr. César Almonaci (graduated from the Faculty of Medicine, UNAM). The group of scientists has implemented innovation in private clinics and health sector, including ISSSTECALI hospitals and General de Rosarito, both located in Baja California, in the latter over a hundred cases were treated and 94 percent saved their limbs. At national level there are 60 patients who have saved their limbs from the use of Nagsil Dermo®, an economic cosmetic product whose price is 550 pesos for a bottle of 50 milliliters, which is marketed through Bionag, a spin off created by the Network Conacyt located in Tijuana. Scientific and technological development has international certificates toxicity committees supporting the safety of silver nanoparticles for use as a cosmetic in humans. They are also coated with a polymer that provides stability for more than two years. Currently is working to increase its average shelf life and is being patented. Also, the development of the UNAM, due to its antibacterial action, is also applicable to veterinary level for livestock diseases and cosmetic use as dermatitis.